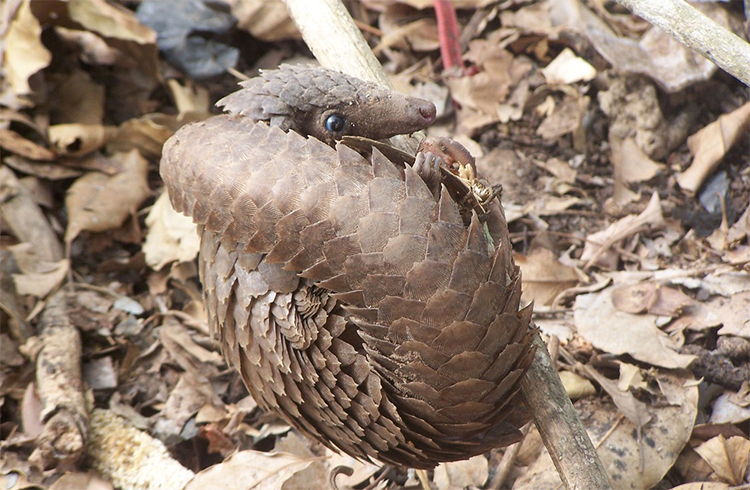 University of Sussex research was instrumental in securing a ban on the international trade of pangolins, the world’s only scaly mammal, which is threatened with extinction. “I have never seen a pangolin in the wild.” This is perhaps a surprising admission from Prof. Jörn Scharlemann, given his important role in highlighting the plight facing the pangolin. 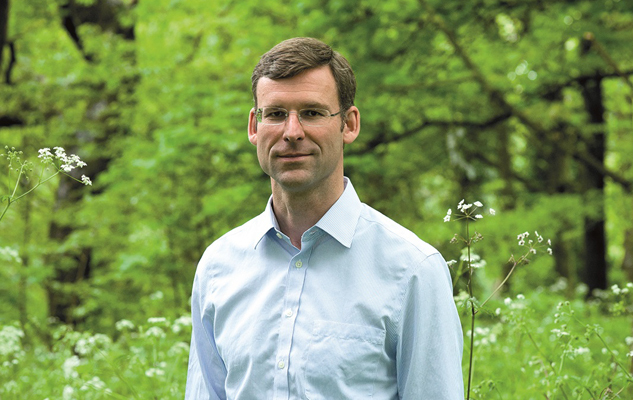 But most of his job involves sitting at a computer collating and analysing biodiversity datasets and creating future scenarios rather than traipsing through the forests where they can be found. “We have very little information on what’s actually happening on Earth. We have telescopes looking to the sky providing detailed information about what’s happening in space. We have satellites looking down on Earth to quantify how the vegetation has changed, but we know very little about how the animals in that vegetation have changed over time.” As a quantitative ecologist he and the researchers he works with are changing that. “We are piecing [the data] together – it’s like collecting puzzle pieces that are already out there and bringing them together to see the overarching picture,” said Scharlemann. In the case of the OFFTAKE project , the puzzle pieces are the numbers of wild animals hunted, including the solitary pangolin. This information is collected in Africa and Asia by researchers looking at hunter’s daily catches, interviewing local households about their bush meat consumption or visiting village and local meat markets. This information is then added to the database and analysed for trends, including “hotspots” where species are being exploited at unsustainable rates. The OFFTAKE project has data collected from the 1970s to today from more than 316 bushmeat markets and hunting sites in 25 African countries with information on 1,282,440 individual animals including mammals, reptiles, amphibians, gastropods and birds and its database is continuing to grow as new studies are being added. Ingram DJ, et al. (2018) Assessing Africa-wide pangolin exploitation by scaling local data. Conservation Letters 11, e12389. The overarching picture in their ground-breaking study provided clear and bleak proof that the harvesting of pangolins in Central Africa has dramatically increased. “We show that the proportion of pangolins which have been hunted over time has increased – massively – by about 150%, said Scharlemann. The international research team used data gathered from the 1970s to 2014 from more than 100 hunting sites in 14 African countries. They found that between 0.4 to 2.7 million pangolins are harvested annually from Central African forests, representing an increase of up to 150 percent since 2000. In fact, the most trafficked wild animal is not the elephant or the rhino, but the pangolin. The collaborative research involving an international team from conservation organisations and universities was led by Daniel Ingram, a PhD student at the University of Sussex supervised by Scharlemann. Pangolin meat and scales are used in traditional medicines in parts of Asia, including China. There is no proof that the scales are effective, as they are just keratin, the same material our hair and fingernails are made from. White bellied pangolin. Credit: Hugues Akpona, IUCN SSC Pangolin Specialist group. His pessimism is understandable as the CITES directive doesn’t come with the tools to enforce it. That’s left to the often cash-strapped countries where the trade occurs. A study looking at pangolin trade in Gabon, co-authored by Ingram, found the value of pangolins had increased by up to 211%, more than 45 times the rate of inflation. It suggested that local hunters in Gabon are selling increasing numbers of pangolins to Asian workers stationed on the continent for major logging, oil exploration and agro-industry projects and were being transported across remote borders to avoid law enforcement officials. Scharlemann and the rest of the team now want to make the OFFTAKE project, which initially focussed on Africa, truly global by tracking wildlife harvesting worldwide over time. They also want to make the data freely available. “For decision makers to trust our findings, they need to be able to check the underlying data and be able to repeat our analyses.” But there are issues to be overcome in terms of data ownership and hiding the exact location of where species were hunted. Potential traffickers could use this information to hunt more rare and threatened species.